Gold is concluding the week with a strong rally day, today! The countertrend rally (in a five-wave structure) that started in early-December, should be the first part of processing of correcting up in the Primary wave ((B)). Subsequently, Intermediate wave (A) will be corrected soon in following wave (B) (potentially to the Fibo 0.50 retracement level around 1200$). 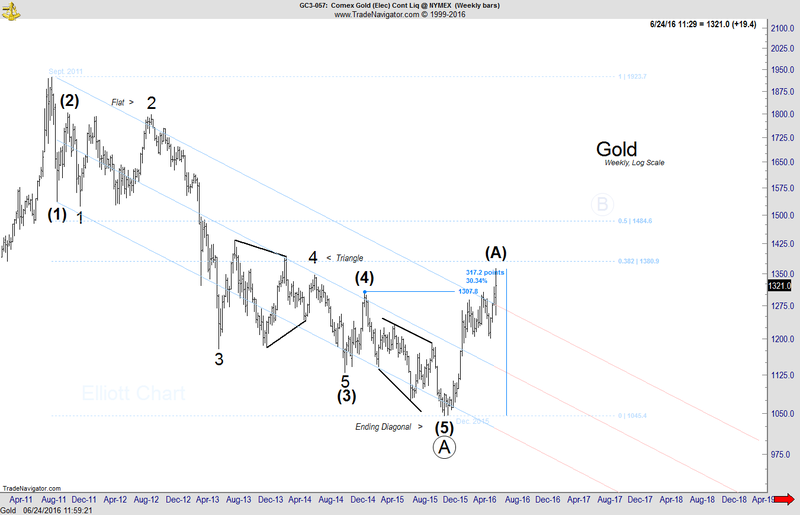 This entry was posted in Gold - Weekly, Precious Metals on June 24, 2016 by elliottchart.